In simpler times, simpler styles were worn. 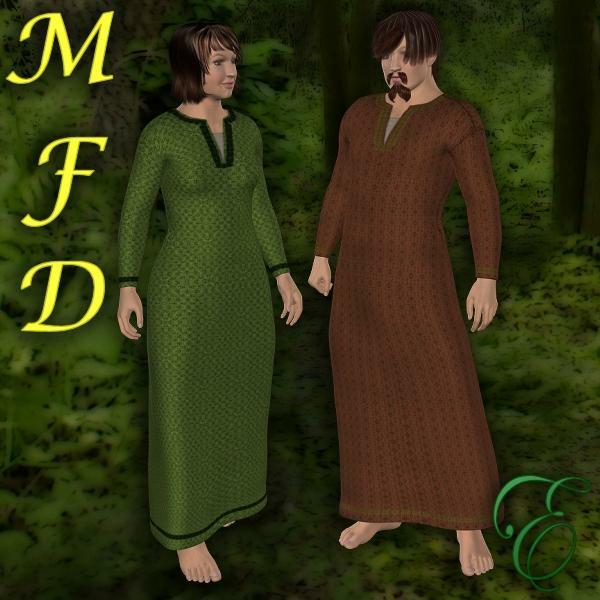 The "T" tunic was the standard daily wear for centuries, for both males and females. The colors of the dyes came from natural sources, and often resulted in colors we modern folk associate with autumn. Note: these textures should work for all MFD's except the one for Stephanie Petite 3. "Eden Evergreen" (6 years ago) Inappropriate? static (6 years ago) Inappropriate? Which MFD is this for? "Eden Evergreen" (7 years ago) Inappropriate?